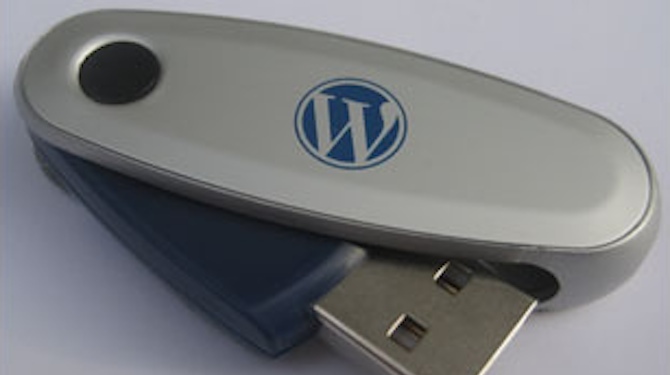 You probably already know that WordPress 3.6 has been released and you may well have already upgraded without a hitch. But if you haven’t, take a moment to read this announcement. The issue appears to be rare. Personally, I have upgraded a number of websites with no problem. However, it can happen. First things first: back up WordPress before you install the new version. With a backup in place I recommend that you simply go ahead with the upgrade — I consider the chances of it breaking to be pretty limited. If you’re a ManageWP user, make sure you have scheduled backups in place. If your site does break, you can restore WordPress to a previous version and wait for the inevitable patch which will no doubt be released sooner rather than later. I accidently upgraded (yes this can happen it’s a simple button to click) without backing up as I was teaching at the same time Why oh why cant WP make a ‘go back to previous version button’ Ive tried dectivating plug ins and back on again to no avail! people say the whole process is easy I am sorry but thats relative lots of us are internet marketers or bloggers we are not all coders! Luck for the UK site I have waited , but biz-findthailand.com has gone awry!!! please help those of us who have not backed up! I have been dealing with this issue for months only to uninstall and reinstall wordpress 100000 billion times on one account and change dedicated server providers. Fix: Make sure you are able to see hidden files in either cpanel (When using File Manager, you cannot see these files and folders unless you select the option to show hidden files.) or your ftp program. Fine the .htaccess file and delete everything in it or if you have made added stuff to it, delete the part defining the upload directory. Can I just delete htaccess file or do I need to edit remove all text is that it? Thanks in advance Mathew. I read this but it doesn’t resolve my issues. I successfully restored my website back to version 3.5 but I still can’t post any blogs, I can’t send any newsletters and there are several other functions that are not working and resulting in me receiving fatal error messages telling me there’s something on line 45, 55 or whatever, but I can’t find WHERE that is exactly to remove or restore it. I need someone who can help me address those issues. My website had had these problems for over 2 weeks and that is not good for my Brand. I’ve upgraded to 3.6 on most of my WP sites. Only one got an issue with Menus. All menus were gone. Rest were just perfect. I cannot reach my dashboard or my site any more. I wish I never upgraded. Unfortunately I upgraded to 3.6 and did not save anything before hand. Is there hope to get my site back? Please say YES. I cannot get into my dashboard to change anything. I can’t even get into my blog after I upgraded to WordPress 3.6 to revert back to the previous version. It is not allowing me to sign in. I get a “server error.” Help! I experienced some issues with ManageWP and the new version of Firefox. Since the update to FF 23, I can’t open any page in managewp. Its just blank. Refreshing doesnt help. In other browsers everything is fine. In particular, issues with jQuery are described there. So far, my updates to WP 3.6 on several sites have gone without a hitch. Had issue with WP 3.6 and WP-DBManager 2.36. Removing plugin didn’t help but reverting back to WP 3.5.2 did. You oversimplify some items on this post. How does someone “restore WordPress to a previous version”? That depends entirely upon which backup solution you have in place John. I always like to wait a week at least and watch for any known issues or bugs before upgrading. Like you say, always backup your files before attempting any upgrade. Thanks for sharing! With all respect, you’re saying there’s a potentially critical or fatal issues or issues that you’re aware of, but then not naming them or describing it? This really isn’t useful to the community or your customers. If you’re in the position to confirm issues, don’t be coy about saying so — share the info that you’ve been able to confirm. We’re not sure what the problem is unfortunately, we just know that there is one and that it is rare. Like I say in the post, you should still go ahead with the upgrade with a backup in place and it’s most likely that there will be no issue. I’m sorry you feel that this post hasn’t been useful to the community or ManageWP users. I had issues with NextGEN gallery’s update to v2.0. Not updating that on any site until they release a stable version. Have restored to old versions of both until I can work out what the issue is. Hi…..I have recently installed a new site using 3.6 and nothing works on a mobile device of any kind…..Ipad, Iphone or Blackberry. Although the front-end is fine, WP 3.6 is causing a jQuery issue with our WP Admin due to the theme we’re using. Guess we should have waited a little longer to upgrade. Perhaps it’s a plugin causing the issue? I don’t think that this would be an issue with the actual WordPress core; more likely a plugin needs to fix compatibility with 3.6.